Make sure to mark your calendar for the 3rd Annual Revitalize Your Senses event, scheduled for Friday, April 26, from 8:30 a.m. to 11 a.m. at the Baum Senior Center in Kill Devil Hills. The event is free and a terrific way to discover many of the newer health and wellness resources right here on the Outer Banks. The event is slated to take place before the opening ceremony of the Dare County Senior Games, and community members will have the opportunity to interact with providers and staff from The Outer Banks Hospital (TOBH) Center for Healthy Living, Outpatient Rehabilitation Therapy Center and several Outer Banks Medical Group practices. 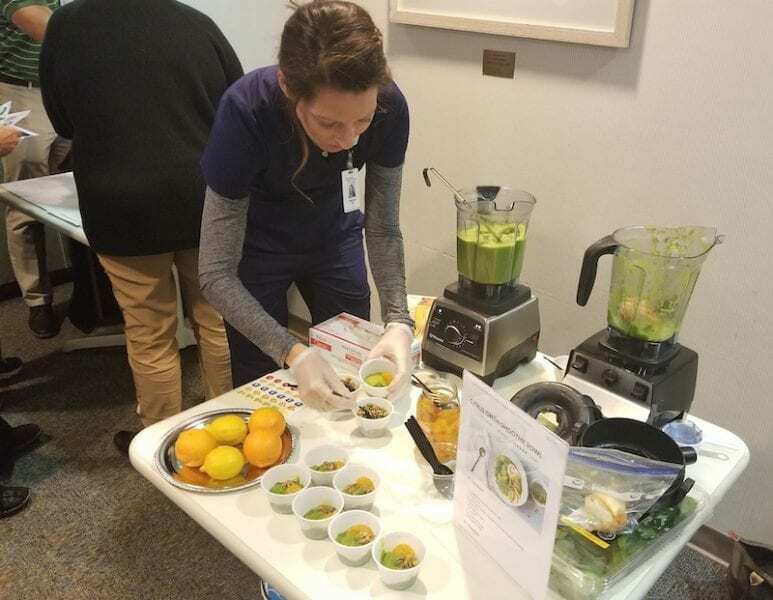 The Center for Healthy Living’s team of experts will be offering nutritious and delicious smoothie drinks as well as information about the services and resources they provide to help people achieve their health and wellness goals. The evidence-based integrative and lifestyle medicine strategies they recommend for proper nutrition, exercise, sleep habits, and management of tobacco use and stress help individuals make real and lasting lifestyle changes. As an example of alternative therapy, free chair massages will be offered by Grace Bodywork. Ever wondered how best to utilize the services of a primary care practice versus urgent care versus the emergency room? The TOBH Urgent Care Center team will be at the ready with information on the topic. Attendees will have the opportunity to interact one-on-one with the staff and even request assistance in locating a primary care provider. Interested in services for individuals with Parkinson’s disease? Therapists from TOBH Outpatient Rehabilitation Center will be present to answer questions and speak about the LVST BIG/LOUD therapy and the BIG/LOUD for LIFE support program, which is evidence-based speech and physical and occupational therapies that can improve quality of life. Joint pain can be a real barrier to staying active and remaining healthy. There are treatment options, and team members from Outer Banks Orthopedics and Sports Medicine can help you navigate them. They and staff from Outer Banks General Surgery will be there to answer questions about total joint replacement, rehabilitation, colonoscopies, and hernia repair. The team from Outer Banks Ear, Nose and Throat will have information about their services, especially for veterans, and will provide free earplugs. SAGA Construction & Development and Gallop Funeral Home will be in attendance as well. Make plans to attend the Revitalize Your Senses event, which will also offer free A1C screenings for diabetes. In addition, individuals will have the option of receiving a lung cancer screening assessment and will leave with an appointment for a free lung cancer screening if they meet the criteria.